Nuh, April 10: Abdul Razzaq died of lung cancer last May. He was the fourth victim of cancer from a family that hails from Sakras village in Haryana's most backward district, Nuh. Before him, his three brothers -- Bashir, Shahabuddin and Qayam Ali -- lost their lives to cancer of chest, mouth and neck, respectively, within two and half years. 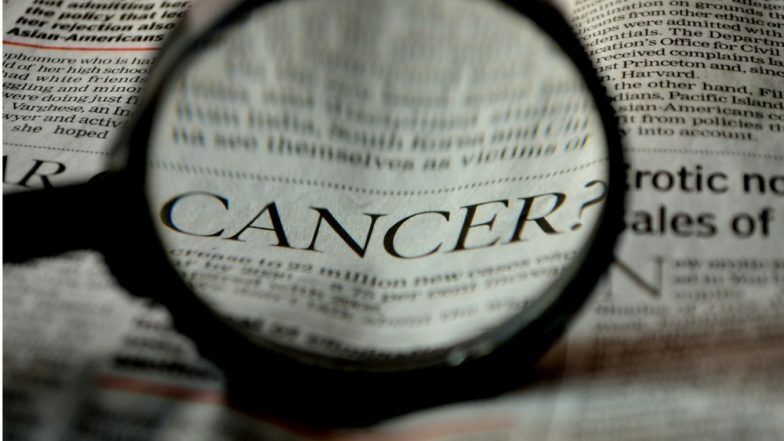 World Cancer Day 2019: Cancer Cure to Become a Reality by the End of This Year? MAJOR Medical Breakthrough Offers Hope to Cancer Survivors. With over 50 cancer deaths reported in the past three years and 130 in the past 10 years, Sakras has gained the notoriety as the cancer hub of the region. There's not a single family, which hasn't lost a member to cancer, or a member of which isn't making trips to hospitals in neighbouring Delhi or Rajasthan. Most villagers blame the contaminated groundwater, the only source of drinking water, for the epidemic. The region also lacks basic amenities like piped water, drainage and sanitation. Spicy Compound From Chilli Peppers Could Reduce Spread of Lung Cancer, Shows Study. "Our village is one of the largest in Ferozpur Jhirka sub-town and has 28,000 plus population. Apart from the area near the drain, water is salty across the village. The villagers have dug borewells and installed submersible pumps next to drain to meet their daily water needs," said Sameer Mohammad. Villagers say the sewage from the drain is contaminating the groundwater, but they have no choice but to use it. Former Sarpanch Fazaluddin Besar said the village had been witnessing cancer deaths for a while. But the number has risen alarmingly in the past three years. "I first brought it to the district administration's notice in 2011 and the District Health Department even took samples of water from the village," Besar said. But the water samples failed to pass the test and the Health Department did not reveal results. "We have a strong suspicion that the groundwater here is highly contaminated and toxic," Besar said. Sarpanch Phool Chand said though teams of experts have been visiting the village to study reasons behind the high incidence of cancer, the district administration has taken no steps. If the water was indeed contaminated, the district administration hadn't bothered to install a community RO (reverse osmosis) water treatment system in the village, he said. Chand ruled out the possibility of mobile towers being the cause of cancer cases. "In that case, there would be more patients of brain cancer. Most patients here have died from lung cancer and some from cancers of mouth and neck," he said. Last year, the district administration even invited a team of cancer specialists from the World Cancer Care Charitable Society (WCCCS). "We had a day-long camp at a local school. Our medical team took samples of seven types of cancer, like blood, lung, bones, mouth and brain, from around 700 villagers. A month later, we submitted our findings and recommendations to the district administration," said Dr Dharmendra Dhillon, head of the WCCCS team. "The district administration recently asked us to resubmit the report. We did it a fortnight back," said Dr Dhillon. "There are various reasons for cancer in the village, like contaminated drinking water, excessive use of pesticides, unhealthy living conditions and consumptions of non-organic food. It is for the district administration to do an in-depth study into the reasons," Dr Dhillon said. When contacted, Nuh Civil Surgeon Rajiv Batish said, "We are still analysing the WCCCS report to find the exact reasons for the disease."